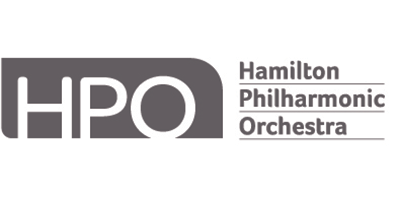 The Hamilton Philharmonic Orchestra (HPO) was founded in 1884 as The Hamilton Orchestral Society and grew to become one of Canada’s major professional orchestras. Today, the HPO is a leader in Hamilton’s robust arts community where it provides professional orchestral services and music education programs to address the needs of the community. The HPO continues to commission and première works and is one of the artistic jewels of the Hamilton/Burlington area. The combined musical talents of its artists continue to enrich the community and enhance the quality of life for its residents. The Hamilton Philharmonic Orchestra is committed to enriching and serving the cultural life of the region. Since its opening in 1973, the Great Hall at Hamilton Place has been the home of the HPO. In addition to our mainstage concert series at Hamilton Place, new programming such as the annual What Next Festival of New Music, Gallery Series, and Indie Series concerts bring the live orchestral experience to a broader range of people. As a key contributor to the development of a vibrant downtown, and a resource for the city in attracting and retaining the creative class, the HPO is an important part of this community. Composer Abigail Richardson-Schulte was born in Oxford, England, and moved to Canada as a child. Ironically, she was diagnosed incurably deaf at 5. 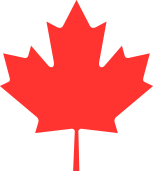 Upon moving to Canada, however, her hearing was fully intact within months. 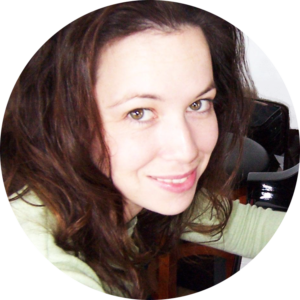 Abigail won first prize at the UNESCO International Rostrum of Composers, resulting in broadcasts in 35 countries and a Radio France commission. She also won the Karen Kieser Prize (CBC/University of Toronto) and Dora Mavor Moore Award for Best New Opera. Abigail was Affiliate Composer with the Toronto Symphony Orchestra (TSO) and now curates ancillary events for their New Creations Festival. In 2012, the TSO, National Arts Centre Orchestra (NACO), and Calgary Philharmonic Orchestra (CPO) commissioned the widely performed music for Roch Carrier’s The Hockey Sweater. In 2014, Abigail wrote a WWI memorial piece, Song of the Poets, for the NACO’s UK tour, co-commissioned by The World Remembers, CPO, and Thunder Bay Symphony Orchestra. Recent projects include a children’s orchestra concert with soprano commissioned by the CPO and TSO using Dennis Lee’s Alligator Pie, and a trumpet concerto commissioned by the Hamilton Philharmonic Orchestra and Group of 27. Abigail has been Composer-in-Residence with the Hamilton Philharmonic Orchestra since 2012 and serves as Artistic Director of the HPO’s What Next Festival. In considering a subject matter for a short piece celebrating Canada, I pondered what makes Canadians special. I immediately thought of our admirable spirit in coming together to help each other in times of need. I considered the quick and inspiring responses from so many across the country to the wildfires in the west, for example. This piece begins with a lonely and hopeless statement from the cello section. From there, the others spread the word from instrument to instrument across a single note, resulting in the brass summoning for help. The message is to spread the word and step up: it’s time to act.